Kaspersky Lab’s Global Research and Analysis Team (GReAT) researcher Noushin Shabab discusses the details of the Advanced Persistent Threat named Spring Dragon consistently targeting countries in the South China Sea region including the Philippines. In early 2017, Kaspersky Lab researchers noted increased activity by an APT called Spring Dragon (also known as LotusBlossom). The attacks involved new and evolved tools and techniques and targeted countries around the South China Sea. Kaspersky Lab’s experts have published their analysis of the attackers’ toolset over time in order to help organizations better understand the nature of the threat and protect themselves. Spring Dragon is a long-running threat actor that has been targeting high profile political, governmental and education organisations in Asia since 2012. Kaspersky Lab has been tracking the APT for the last few years. In early 2017, Kaspersky Lab identified renewed attacks in the threat actor’s favoured South China Sea region. According to Kaspersky Lab telemetry, Taiwan had the largest number of attacks followed by Indonesia, Vietnam, the Philippines, Macau, Malaysia, Hong Kong and Thailand. To help organizations better understand and protect against the threat, Kaspersky Lab’s researchers have undertaken a detailed review of 600 Spring Dragon malware samples. The attackers’ toolset includes a unique customised set of links to command and control servers for each malware: the malware samples contained more than 200 unique IP addresses overall. This toolset was accompanied by customised installation data for each attack to make detection difficult. The arsenal includes various backdoor modules with different characteristics and functionalities – although they all have the capability to download additional files to the victim’s machine, upload files to its servers and execute any executable file or command on the victim’s machine. This allows the attackers to undertake a number of malicious activities on the victim’s machine – particularly cyberespionage. The malware compilation timestamps suggest a time zone of GMT +8 – although the experts warn that does not represent a reliable indicator of attribution. “Organisations and businesses need to step up and manage risk on reputation and service guarantees. The average loss from a single targeted attack is close to $1,000,000 excluding reputational impact. In the event of cyberattack, a considerable investment is made for urgent response to improve software and infrastructure. The reverse needs to take place. 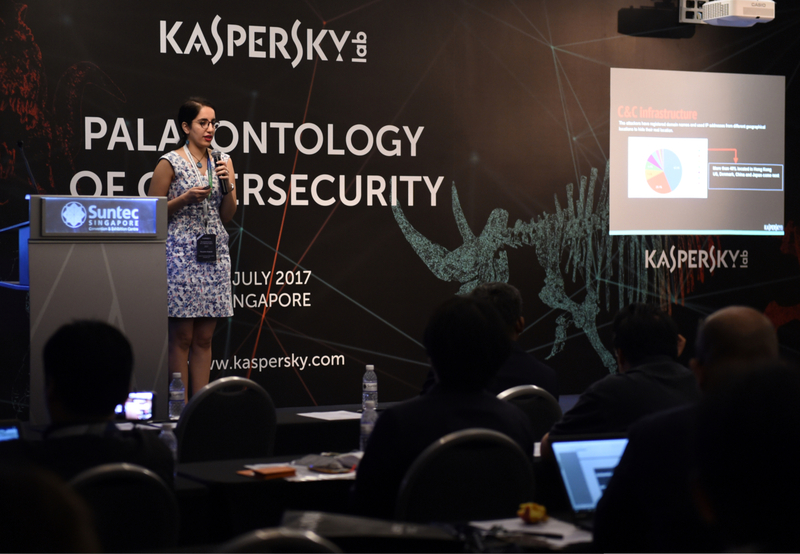 We must not wait for attacks to happen for us to take precaution,” says Anastasia Para Rae, General Manager at Kaspersky Lab ANZ. “We believe that Spring Dragon is going to continue resurfacing regularly in the Asian region and it's important to be familiar with its tools and techniques. We encourage individuals and businesses to have good Yara rules and other detection mechanisms in place and strongly recommended they use – and regularly audit - a multi layered approach to security,” adds Noushin Shabab, GReAT Senior Security Researcher at Kaspersky Lab. Implement an advanced, multi-layered security solution that covers all networks, systems and endpoints. Educate and train your personnel on social engineering as this method is often used to make a victim open a malicious document or click on an infected link. Conduct regular security assessments of the organisations IT infrastructure. Use Kaspersky’s Threat Intelligence that tracks cyberattacks, incident or threats and provides customers with up-to-date relevant information that they are unaware of.